The most recent versions of these codes and rules appear in the appendices of this document. 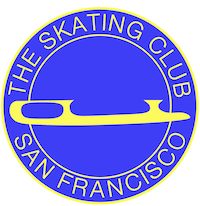 Membership in the SCSF and US Figure Skating is a privilege, and members of the SCSF are required to adhere to The Skating Club of San Francisco Code of Conduct. In joining The Skating Club of San Francisco, members agree to learn and abide by The Skating Club of San Francisco Code of Conduct. YBISC maintains jurisdiction over the conduct of skaters and other people at the rink during YBISC Freestyle Sessions and other events, classes and ice times managed by the rink. US Figure Skating maintains jurisdiction over membership conduct as outlined in the US Figure Skating Code of Ethics, Code of Conduct, and Policy on Harassment and Abuse. Members who have witnessed a breach of the SCSF Code of Conduct may report the issue to the joint SCSF-YBISC Grievance Committee, which has been established to address breaches of the codes or rules outlined in the SCSF Code of Conduct. To do so, a written complaint stating the nature of the breach must be completed and delivered to the Grievance Committee. A grievance form can be found on the SCSF Website at www.scsf.org or on top of the SCSF Club Box in the YBISC front office. For clear breaches of conduct that occur during SCSF-hosted or sponsored events, the Grievance Committee will issue a recommendation for resolution to the SCSF Board, which will have the final vote on any disciplinary actions. For clear breaches of YBISC rules during events managed by the rink, the Grievance Committee will issue a recommendation for resolution to the YBISC rink management. For clear breaches of US Figure Skating codes, rules and policies, the Grievance Committee will escalate the issue to the US Figure Skating National Grievance Committee. In cases where the Grievance Committee determines that the SCSF Code of Conduct has not been breached, the Committee will offer the opportunity for the people on both sides of the issue to meet with a mediator to resolve the conflict. Moreover, the fast-paced, risky nature of skating makes it natural that skaters will sometimes collide or accidentally get in each others way – even when they are maintaining complete awareness and exercising reasonable caution. We recommend that as a first step, people who reach a conflict – on or off the ice – attempt to resolve the issue directly. As a friendly reminder, all skaters who accidentally run into each other or cut each other off are encouraged to say, “I’m sorry,” or excuse themselves in a polite manner, even it appears that the other person is more at fault. It shows graciousness, maturity and respect – qualities that bring out the best in all of us. Note: Administrative rules in the 2004 US Figure Skating Rulebook still contain references to the organization’s former name: United States Figure Skating Association (USFSA). 1. It shall be the responsibility of all officials in sanctioned figure skating events registered members of members clubs, or collegiate clubs and individual members to be thoroughly familiar with the rules of the USFSA, to comply with them in full and to exemplify the highest standards of fairness, ethical behavior and genuine good sportsmanship in any of their relations with others. Any person whose acts, statements or conduct is considered detrimental to the welfare of figure skating is subject to the loss of the privilege of registration by the USFSA in accordance with the procedure outlined in Article XXVII, Section 3 of the USFSA Bylaws relating to loss of membership privileges, suspension and expulsion. 4. Abstain from voting or influencing the decision to enter into such transaction to the extent the disclosing representative may have an actual or apparent conflict of interest in this matter. 5. Prior to appointment as an officer, member of the Board of Directors, committee chair, subcommittee chair, paid USFSA staff, or to any outside organization, the member must execute the Conflict of Interest and Ethical Behavior statements for continuing appointments and paid staff. 6. Private inurement. In agreement with federal law, it is the policy of the USFSA that none of its assets or income may inure to the benefit of any person or organization in satisfaction of a personal or private interest. I will exhibit the highest standards of fairness, ethical behavior, and genuine good sportsmanship in all of my relations with others. I will not damage public or private property. I understand that I may be held financially responsible for damage deemed to be wantonly or willfully executed on my part, and that I may be subject to disciplinary action by the USSFA. I will not use or possess illegal drugs, and I will not engage in criminal activity. I understand that if I am found to use or possess illegal drugs, or if I am found to engage in any criminal activity during any USFSA sanctioned, or sponsored competition, exhibition or training camp, I may be subject to criminal penalties, as well as penalties imposed by the USFSA. I will adhere to the rules of the USFSA and the host organization at all USFSA hosted, sponsored, or supported training camps, competitions, and exhibitions. I will conduct myself in a manner not detrimental to the welfare of figure skating. I understand that my actions reflect on the USFSA and the sport of figure skating both positively and negatively. I understand that if my acts, statements, or conduct are considered detrimental to the welfare of figure skating by the appropriate authority, I may be subject to penalties imposed by the USFSA pursuant to GR 1.021. I understand that the penalties that may be imposed may include, but are not limited to, loss of future international selections, loss of financial support from the USFSA and Memorial Fund, and loss of participation in USFSA sponsored events. I understand that all disciplinary proceedings will be conduced pursuant to Article XXVII, Section 3, of the USFSA Bylaws and that my rights and remedies are derived therefrom. The USFSA will not tolerate or condone any form of harassment or abuse of any of its members including coaches, officials, directors, employees, parents, athletes and volunteers—or any other persons—while they are participating in or preparing for a figure skating activity or event conducted under the auspices of the USFSA. The USFSA Policy Statement on Harassment and Abuse may be found in its entirety online at www.usfigureskating.org. Harassment of such nature between or among USFSA members shall be reported to the chair of the Ethics or Grievance Committee as soon as is practicably possible, per ECR 2.00 and GCR 2.00. If any form of child abuse is observed or suspected, the observer should immediately contact either local law enforcement or a public child welfare agency and make a report. Any person who violates this rule, who fails to appropriately report or who makes a false report or otherwise violates USFSA’s policy on Harassment and Abuse will be subject to disciplinary action in accordance with Article XXVII, Section 3 of the USFSA Bylaws. Additionally, a skater who has passed at least one US Figure Skating test (beyond Basic Skills) may skate on the high freestyle while being instructed by a coach. There are no minimum requirements to skate on the SCSF low freestyle, which is designed for skaters who have tested no higher than Juvenile Freestyle, Adult Silver Freestyle, or Silver Dance. Advanced skaters who have passed their Intermediate Moves, Adult Gold Moves or Freestyle, or Gold Dance may skate on the low freestyle session while being instructed by a coach – and as long as they skate with the flow of other skaters. Minimum requirements to participate in the SCSF Power Class are for a skater to have passed either the ISI Delta or US Figure Skating Basic Skills 4 test. Skaters are required to check in and pay before stepping on the ice. Only water bottles with water are permitted on the ice. No food or other drink is allowed. The use of portable devices with earphones (Walkmans, iPods, etc.) is prohibited at all times. Skaters must not stand on the ice away from the rails. Kicking or digging at the ice with skate blades is prohibited. Inappropriate behavior, facial or body gestures, profanity, physical or verbal abuse, stomping or kicking the ice, is not allowed and will be subject to immediate dismissal from the ice rink. The skater skating his or her program has the “right of way.” It is everyone’s responsibility to be aware of who is skating his or her program. The yelling of “move”, “excuse me”, etc. is not acceptable at any time. The words “program”, “heads up”, “on your left”, or “on your right” are acceptable. At the YBISC rink, watch for any skater wearing the orange belt. Please clear all personal belongings (including cups and used Kleenex) from the rails after each session. It is everyone’s responsibility to keep the ice rink clean. Skaters must clear the ice immediately upon request. The resurface machine will not go on to the ice until the ice is cleared. Likewise, skaters are not allowed on the ice until the resurface machine has cleared the ice and the resurface gates have been closed. Sitting on the railing is prohibited at all times. Nobody is allowed on the ice while the resurface machine is in operation. Family and/or friends are not allowed to stand or congregate in doorways, as these locations can be hazardous. Instead, friends and family members should sit in the bleachers or on the rink benches.